This is a beautiful quilt, for sure. 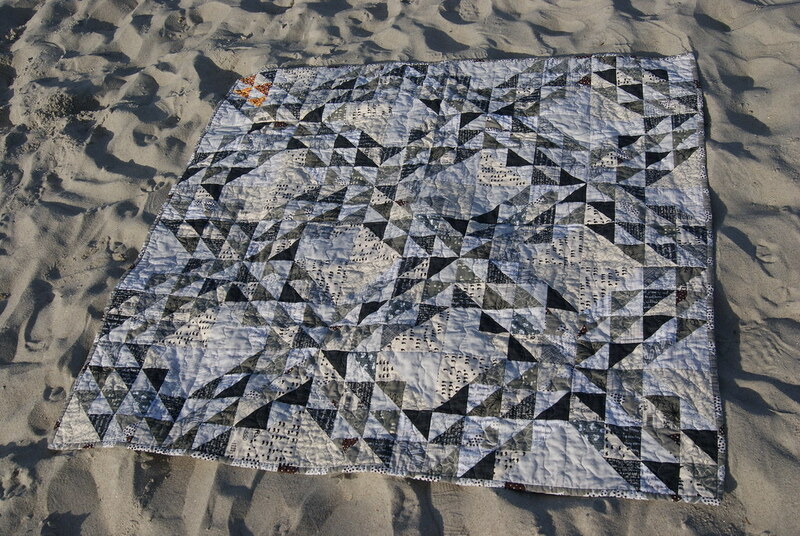 I love triangle quilts, have done some myself. And now I’m working on one just like yours. So good to see it finished. Your first sentence. Kills me. Haha. When I saw that category I was like they need an iPhone category. I could rock that. I love this quilt. I’m still in awe that you made a second quilt from your xplus and it only means I need to get started. 🙂 this is such a beautiful quilt and I love the photos. I can’t figure out manual either – I have taken 2 classes- both after having babies – and I never retain much of what i have learned. 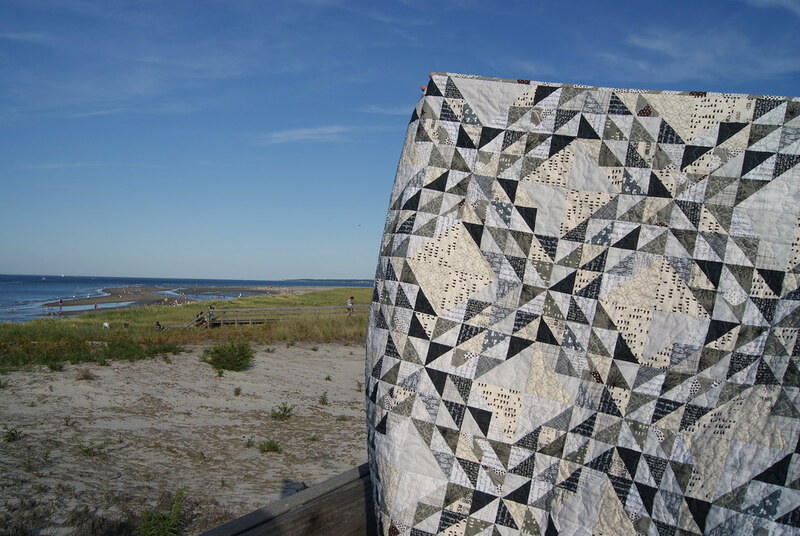 I love this quilt and the photos are gorgeous. Beautiful quilt. And, beautiful staging. Lovely quilt!! And thank you for encouraging those who are too shy to participate to grab their cameras! what a fantastic colour scheme on your quilt- especially with the gold/orange bits up in one corner. So effective! 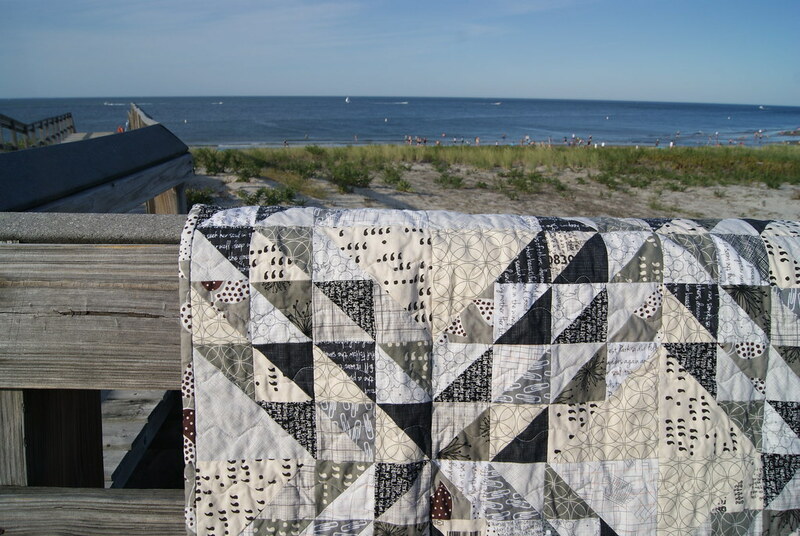 Love your pics, they show a gorgeous quilt indeed! Congrats! I’m so in love with this quilt! And your photos are pretty awesome too! Wonderful and joyfull pictures! It reminds me of the beach I visited in May this year! Good luck in the Blogger’s Quilt Festival! I’m so glad you entered this in the quilt photographer category!!! 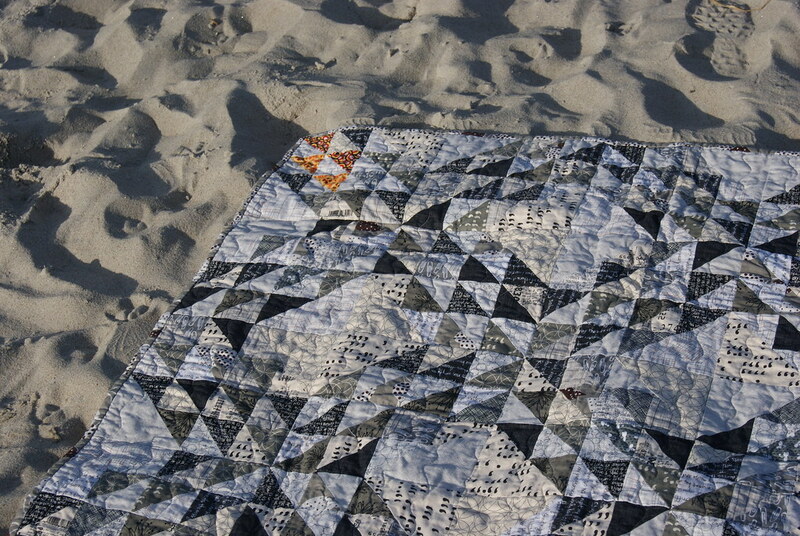 I love this quilt and it is perfect with the beach setting. 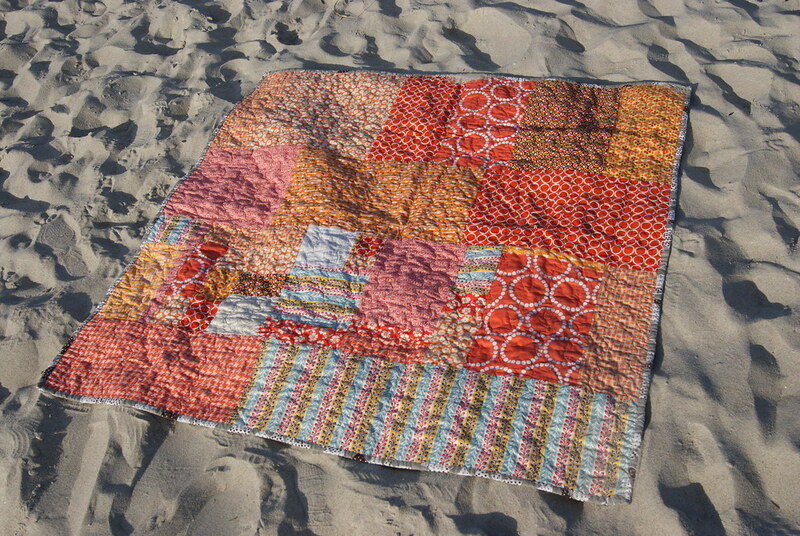 A beautiful quilt, such gorgeous colours and the beach is the perfect setting for your wonderful photos. This a a gorgeous quilt. I love the colorful surprise the backing gives you. And your photos are beautiful. I totally agree with you that a quilt is not finished until it is photographed. my all time favorite pattern, by the ocean? LOVE!!! (orange is also a favorite!!!) Your encouraging words are so nice. Your quilt is stunning. I am just planning a quilt using this pattern and now I want to plan another in black and white and grey. Your photographs are also beautiful, I love your beach. Ah-maz-ing. Seriously. I can’t find your email but I’d like to feature your quote about sharing quilts on my new blog series (Sewing with Certainty), and/or have you write more on the topic! What do you think?